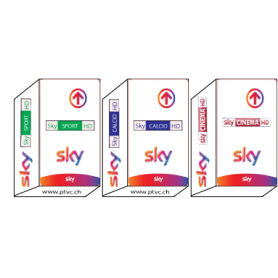 Sky Italia There are 18 products. 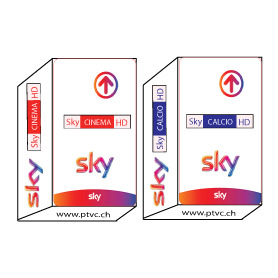 Package Sky italia pay tv Swiss card, switzerland, Swiss Sky Italia pay tv card card, switzerland, map, find the bulk of the Italian TV with 'Sky TV'! 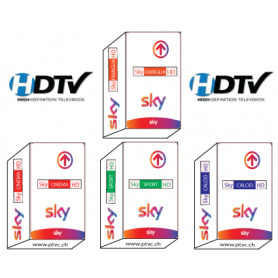 Series with Fox HD, with Discovery Travel documentaries, cinema on AXN, generalist and sports with Sky TG24, Sky Sport 24 and much more info...And for fans of Italian Football, go to the "Sky Calcio" offer. 15 HD channels to follow live the match of your choice, don't waste a crumb of the Italian Championship of League 1!SuperCalcio, follow the best international championships: Scottish Premiere League, Liga Española, Bundesliga... in High Definition!And for fans of Italian Sport, go to the 'Sky Sport' offer. 9 HD channels to follow live sports events: formula 1, Tennis, fencing, Golf, OJ, and especially any European Football... 'Sky Sport' for all sports enthusiasts, Sky experts selected top international sporting events, in over 20 disciplines the Football with inter alia the entirety of the Champions League, formula 1 and Grand prix in format free tests widescreen 16/9Basketball with the Italian Championship male, the NBA and the Euroleague, the Tennis Masters Series as well as all the grand slam tournaments, volleyball with the Serie A female Italian clubs, as well as American sport on NASN, the new English language European channel. And for fans of Italian cinema, navigate to the "Sky Cinema" offers. "12 channels with new movies every day! 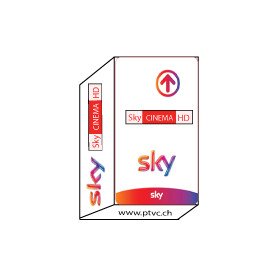 "Sky Cinema"12 channels dedicated to the cinema in high definition, 10 different movies nightly and up to 260 movies in HD per month with unmatched audio quality in the original language and titled. 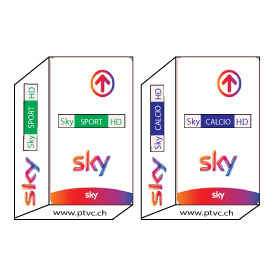 SKY Italia Hd Basic + Sky Calcio HD, SKY Italia SKY Calcio 12 month membership Publiage: to follow all of the Calcio in High Definition *! 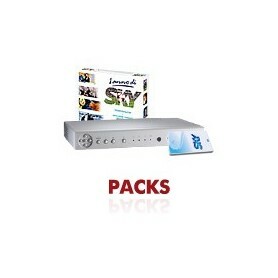 Sky It, Tv + Sport + Cinema + decoder 12 month smartcard, subscription SKY Italia,: to follow all of the Calcio in High Definition *!